When thinking about Christmas this year, I was torn on how to decorate. I didn’t want storage boxes taking up space in our closets, or to spend a ton of money on new decorations. But with this being Jude’s first Christmas, I still wanted to create special traditions and make our space cosy to celebrate the season. We want to keep the birth of Christ as the main focus and more emphasis on creating memories and spending quality time together, less on attaining stuff. After some thinking, I decided that I wanted to go the route of making our own decor that we can either toss or recycle after the season. This way, I don’t have decorations taking up space in boxes the rest of the year and it would be fun to create simple decor together and enjoy a project as a family. Rather than spending loads of money on generic decorations, we could have our own personalized ones for super cheap and make a fun event of it every year. So today, I blasted oldies Christmas music and Jude and I made this DIY Dried Orange Garland. I couldn’t be happier with how it turned out! 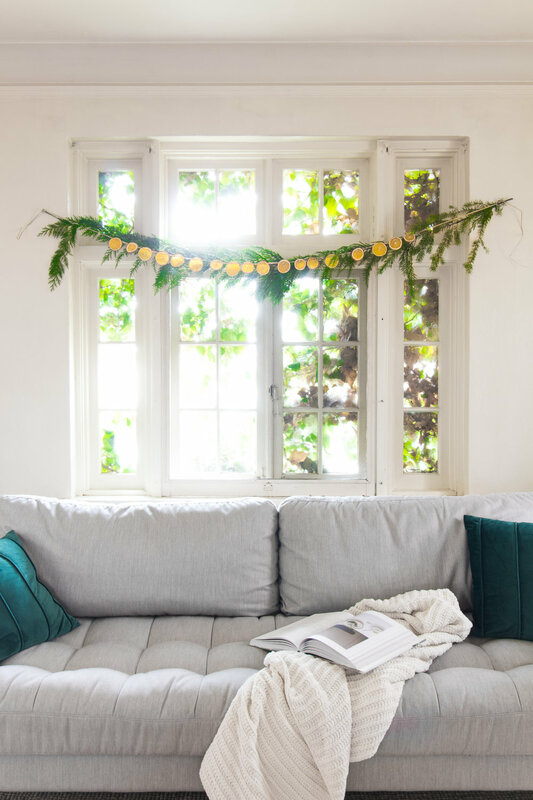 I also purchased a bunch of greenery from the grocery store and have sprigs placed throughout the house - I made a garland out of it to go with the garland of oranges. I’ve also been lighting candles at dinner and I love the atmosphere it creates in our home. 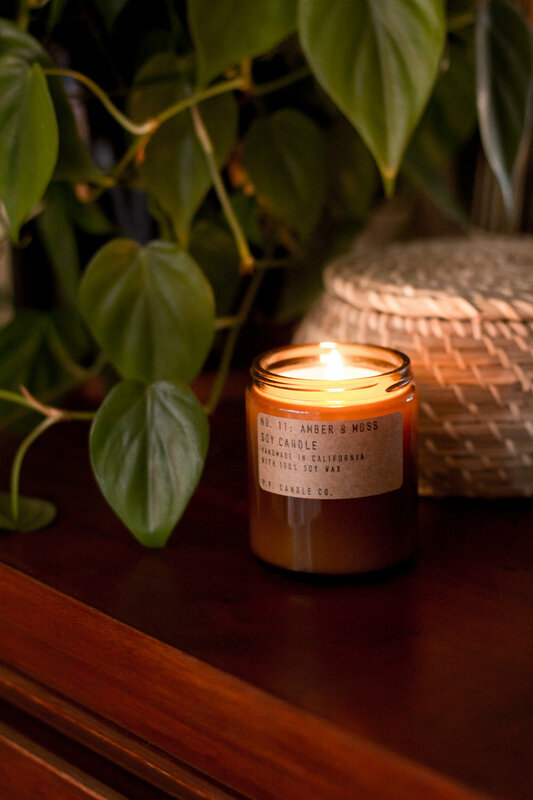 We recently purchased a PF Candle Co candle in the scent Amber and Moss - it's been deemed our special Christmas candle and its nice making an event of having tea and lighting it each night. On sentimental items… Even though we are trying to limit the amount of Christmas decor we own, we do own a strand of fairy lights and a small set of gold vintage ornaments from our first Christmas together. We found them in the basement of our old apartment for free and they have so many sweet memories attached. We don’t own a huge amount of sentimental items, but these will definitely be kept in the family for years to come - we will be purchasing a small tree and decorating it with just these ornaments. I also want to hand knit a stocking for Jude that he can keep forever. But that’s it! I think having fewer amounts of sentimental items makes them extra special. It is my goal to keep all of our Christmas related items to one small box. If you know me, you know I love Christmas and I’m not a Grinch. But I am particular about the money we spend and the items we keep in our home. I know some minimalist families forgo Christmas decorations altogether, but that's just not us. A few special things are all we need - it’s more about spending time with the ones you love and remembering the birth of our Savior.